Sacred Alchemy Store is now offering planetary talismans. the talisman is a shield imbued with the “forces of the cosmic powers” it has harnessed. In addition to the fact that it is, therefore, infinitely more effective than the amulet, it is not solely a protector. By condensing the active ‘universal forces’ through transference, it puts them at the disposal of the owner. 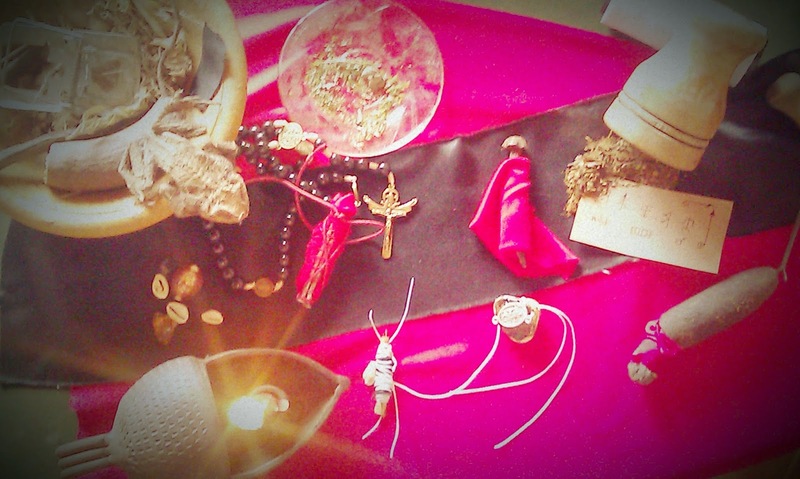 Each of our talismans are made as the inquiry for them is presented and executed in the name of the person who seek to carry the charm, hence the moment of forming a desire and its reception is subjected for astrological analysis (a form of horary astrology) to give an accurate direction for the talisman. All planetary talismans contain proper elected virtues from all possible kingdoms and all talismans are subject to, hymns, fumigations and secret writ in accordance with the magical alphabets of IbnWahshiya as it pertains to planet and/or sign and are anointed, consecrated and fumigated in the proper planetary hour and day as the purchaser of the talisman is named. Our talismans then effectively tie the planetary virtue to the owner in ways benevolent for the goal sought. Our talismans are commonly sewed up in cloth for the simple easiness of transportation, but they can of course be custom made in the form of a ‘mojo bag’, pendant, necklace or bracelet, so please do write us to detail and discuss the desired effect and we will arrive at an exact formula for how it can best be accomplished. As these talismans will be carefully manufactured using auspicious astrological elections we need to inform that the creation of a talisman can take up to 28 days to be completed, this to ensure that the maximum virtue possible is embedded into the talisman. We can make talismans for decans, signs and lunar mansions, so if these are of interest, please write us, as for now we are giving attention to the virtue of the seven planets, but we will shortly follow this up with making available the full range of lunar mansion talismans. Our talismans can be worked on the particular virtue itself or they can be worked in the field of shared virtue between the planet and its owner where the creation of the talisman is adjusted in conformity with the natal chart of the carrier of the talisman, we will then need date, time and place of birth of the carrier of the charm. Sun holds the virtue of recognition, clarity and to expel what is out of place and literally brings light to what is hidden as it also gives prestige and can stimulate intuition and is as such a great power to have by those who seek such graces. Moon holds the power of dream and rules all things subtle and gestating. Being motherly, wet and nocturnal she is also patron of secrecy as much as tenderness, in this way she brings sweetness, children, inspiration and affection to our lives and is as such a great power to have by those who seek such graces. Saturn, the greater Malefic, also Lord of the Golden Age is traditionally associated with contemplation, intellectual arts and the ability to guard against malefica and is as such a great power to have by those who seek such graces. Jupiter is the instigator of law, time and order, the planet of kings and of those who seek to gain favours by people in lofty positions. Jupiter is jovial and gracious and is as such a great power to have by those who seek such graces. Venus is the patron of love and concord, merriment and marriage and ignites joy and stability to existing relationships and brings the virtue of attraction to those who seek for love and concord and is as such a great power to have by those who seek such graces. Mars is the author of war and agriculture, patron of alchemy and arts made by hand. Mars can instigate successful warfare as he can ensure success at the initial stages of any undertaking and give vigour and presence to our lives and is as such a great power to have by those who seek such graces. Mercury is the linguist of heaven and oversees all forms of communication and interaction and can ensure wit and effective self-presentation as much as being the intermediary in generating any form of connection between men and every kingdom and is as such a great power to have by those who seek such graces. You find this new product by clicking on this link.